TLDR: Most investors use revenue multiples of comparable companies to value SaaS businesses. However, a lot can be learned about the true value of a business at a given point in time by thinking deeper about the value of the cash it will eventually generate, and how likely that is to happen. Is 25x revenue a crazy price to pay to invest in a fast growing SaaS company? The other day I was looking at my current portfolio, which is overweighted towards SaaS, and trying to make two decisions. One was whether to sell a stock I currently own which was trading at 13x revenues, but growing 65% with strong unit economics, negative revenue churn, a huge market, etc. The other decision was whether to invest in a Pre-IPO company doing $200 mm of revenues, growing at a similar rate, with similarly fantastic unit economics. These are both great businesses and most people would like to be an investor in either. But, would you invest at a 10x revenue multiple? What about a 15x? Some of the best private SaaS companies are trading at 25x. Where is the line and most importantly why is it there? I think it’s very important to ask these questions in a market where everyone has been making money hand over fist the past decade, and there is significant FOMO which leads to higher and higher valuations. 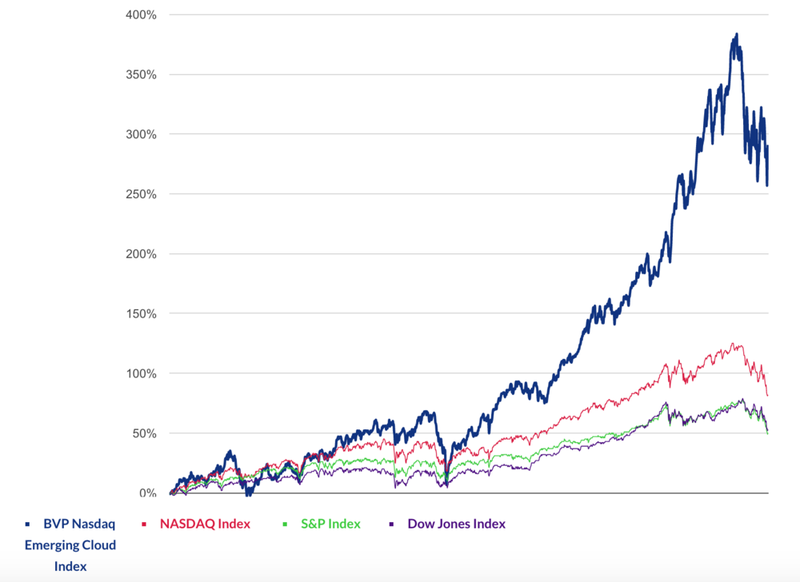 The vast majority of investors who I talk to are simply using comparable company valuations in the private and public markets to inform their decisions. SaaS companies with X growth trade for Y times revenues, so I’ll pay up to a Y multiple, unless it’s a really great business and then I’ll stretch a little. Maybe you’re conservative, or at least want to think you’re conservative, and so you’ll only pay 85% of what the market will pay, and have some strategy to get things on the cheap. But if the market is “off” by 50%, then you’re still wrong, right? While comparable companies are relevant, that puts a lot of trust into how other people think about a given problem. The real question is, why do you feel comfortable or uncomfortable being an equity holder in one of these companies? Every company’s value is simply the present value of their future cash flows. The standard discounted cash flow (DCF) model can tell you what any asset is worth, even a company that won’t generate cash flow for quite some time. For anyone unfamiliar, a DCF is basically the question of what you’re willing to pay today, for money in the future. How much would you give me if I were going to give you $20 tomorrow? Probably very close to $20 given you know I’ll almost certainly pay you, and there’s not much you would have done with that money in the meantime. What if it was next year? You’d probably give me something like $19.50 since you could invest that $19.50 in a one year treasury bill, make a 3% yield, and get your $20 in a year. Ok, what if I promised to give you $20 next year, but you also knew I had a gambling problem? You’d probably pay something like $5, if you thought there was a high chance I wouldn’t have that $20 in a year. If you made that decision with 1,000 people with gambling problems, sometimes you’d get your $20, sometimes you’d get less, and many times you’d get $0. All in all, you are out with the risk/reward since you’re only paying $5 for the chance to get $20. The required rate of return for each of these scenarios is what’s called a discount rate or cost of capital. It’s a measure of how risky the future cashflow is. To illustrate, the gambler has to pay an effective interest rate of 300% ($5 loan to, pay $20 in a year). This 300% is their cost of capital, and the investor’s required return or discount rate. The easy way to do a DCF for a SaaS company is to say something like “Ok, I’m investing $15 million into Acme Corp. Acme does $10 mm in revenues, and is valued at 25x revenues, or $200 mm. It grows at 130% annually. I’ll sell my stock in 5 years at the IPO. By that point, it will be at $350 mm in revenues, trade at 10x revenues, and so my stake will be worth $100 mm with dilution, giving me a 7x return. So, of course I’m going to pay 25x revenues now to invest, even if that number on it’s own sounds silly. Would you want to make a 7x return? Of course! So, maybe you bid 26x revenues, but your competitor bids 27x, the next person bids 28x, and so on until the 7x modeled return goes down to a 3x. That is why valuations have gotten so high, especially in a market where SaaS companies are up 350% over the past 5 years. Of course, there’s a lot that could go wrong here. What if the company’s sales are all coming from the founder’s friends, and growth slows to 30% next year? What if the market is only $200 mm in total size, and so the company can’t grow past that in revenues, and most likely tops out at $50 mm? What if the economy is in a recession in year 5 and the multiples for SaaS companies have gone way down? All of these risks factor into the discount rate. Just like the gambler’s likelihood of paying you back is low, so isn’t the company’s ability to execute on their plan (which calls for growing revenues 35x! ), and become that unicorn IPO. In this case, we lose 60% of our money over 5 years. Ouch. Some of the more astute investors will run the various scenarios that are likely to happen to a company, and then do a weighted average of expected outcomes. To simplify, maybe there’s a 50% chance of a $10 mm outcome, and a 50% chance of a $100 mm outcome, so my expected value is 50% * $10 mm + 50% * $100 mm, or $55 mm. You can see how detailed this approach can get with many scenarios. What I don’t see any investor doing is looking at what this company will look like in the long term, like 20 year long term. Realistically, companies like SalesForce, Amazon, etc still aren’t in “steady state” where growth has slowed and profit margins are high. It takes decades for these businesses to get to where they are going – and most never get there. So, why not look at these companies on a very long time horizon to see when it makes sense to invest, and at what price. Here is my attempt to think about the enterprise value of a company at all the different stages of its lifecycle. Even if you have conviction a company can be worth a lot in the future, it is VERY difficult to rationalize investing at the earliest stages of a company’s life. My personal bias is to heavily discount the first few years of a company – and maybe that’s wrong. Just like the gambler probably won’t pay me back next year, the $5k MRR company probably won’t be around next year, let alone 20 years from now! The company may not need to be around in 20 years, we just need to sell it to someone in the next 5 to get a return. This model doesn’t contemplate that as it seems this is a lucky scenario. Discount rate changes have MASSIVE impacts on the present value of a company. When a company can de-risk it’s product, market, acquisition model, etc – the value goes way up. De-risking your future should have much bigger impacts to valuation than increasing revenues. The problem is trying to say whether the discount rate drops by 10%, 20%, 50%, etc due to new developments at the company. The model here lays out the venture path. Other types of businesses have more attractive NPVs at the early stages if there is a high probability of getting cashflow early. As mentioned earlier: What is the real discount rate at each stage? Great question – do you have insane amounts of data around the success of early stage companies and the ability to isolate all the different variables, many of which come down to chance, to calculate a reliable discount rate for a given company? Me neither. Garbage in, garbage out. The DCF model is limited in its ability to accurately capture everything about a company. However, it is an extremely useful to better understand the current and future value of a company, and what is driving this value. At the end of the day, valuations tend to be a lot more art than science, allowing the more “artistic” people out there to make outsized returns as investors :). ATS ROI - All About Time To Fill?